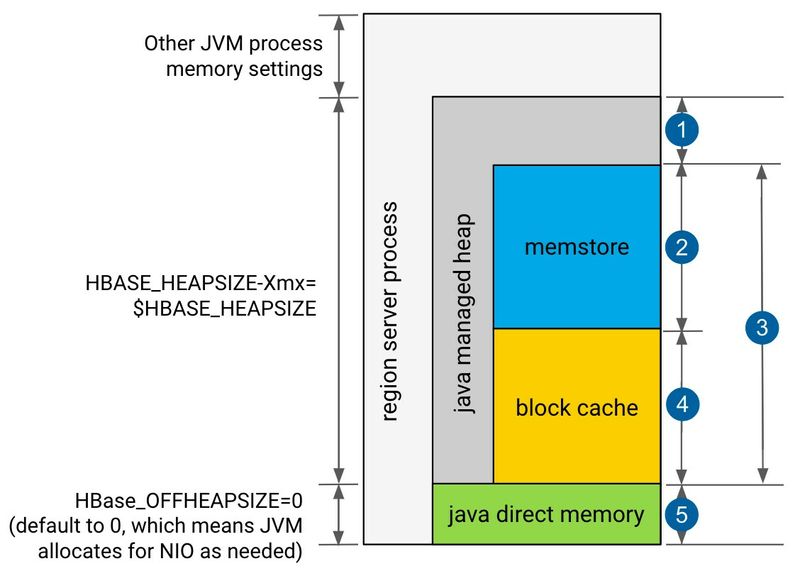 In the default configuration, HBase uses a single on-heap cache. 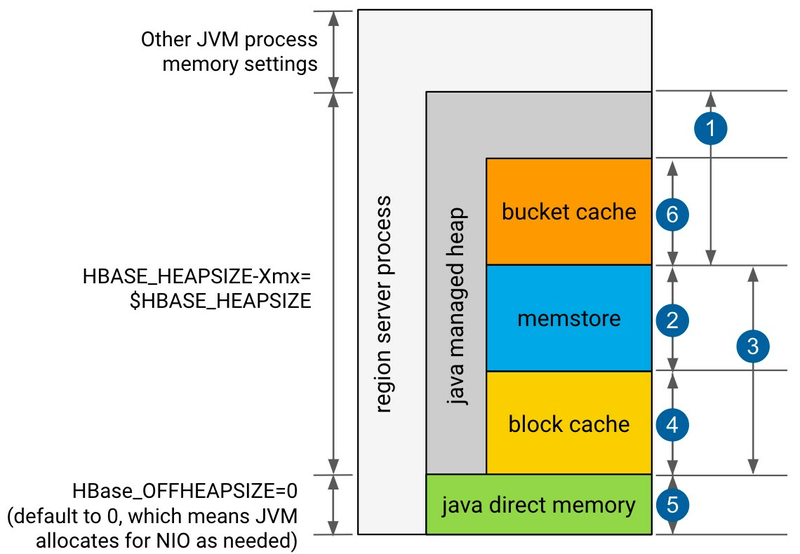 If you configure the off-heap BucketCache, the on-heap cache is used for Bloom filters and indexes, and the off-heap BucketCache is used to cache data blocks. This is called the Combined Blockcache configuration. 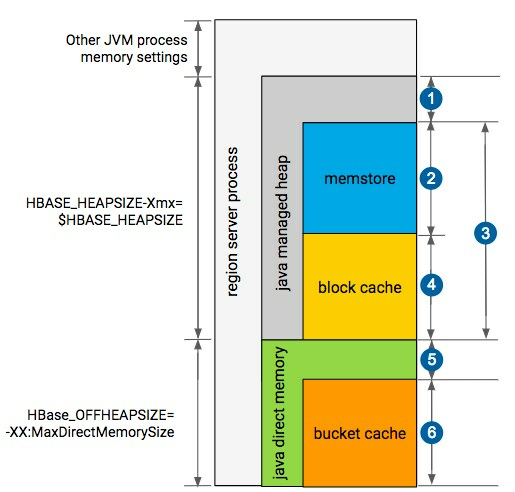 The Combined BlockCache allows you to use a larger in-memory cache while reducing the negative impact of garbage collection in the heap, because HBase manages the BucketCache instead of relying on the garbage collector. hbase.bucketcache.combinedcache.enabled true When BucketCache is enabled, use it as a L2 cache for LruBlockCache. If set to true, indexes and Bloom filters are kept in the LruBlockCache and the data blocks are kept in the BucketCache. none (BucketCache is disabled by default) Where to store the contents of the BucketCache. Its value can be offheap, heap or file:PATH where PATH is the path to the file that host the file-based cache.